The budget you need to subtitle your videos depends on a number of variables: number and duration of videos, whether you can provide us with the original script, whether you have your videos in Vimeo, YouTube or both, number of languages, and work on your website. For example: let's say you want 10 videos to be subtitled, they are 5 minute long in average, you want subtitles in English, German, Russian, Chinese, and French, you currently have them in Vimeo and in one page of your website each video, and you haven't got the video original script. An order like this would cost you 8,650€. Now say, instead of having these videos in Vimeo you have them in YouTube, this would cost you: 7,370€. This means, to reach a new country with the same video 5 minutes long costs only 173€ (Vimeo video) or 147.4€ (YouTube video). Most of your videos will surely get a good ROI with this small budget. Fill in the form at purchase page. You'll get your invoice in your email. You can approve it and make the payment with just 1 click. 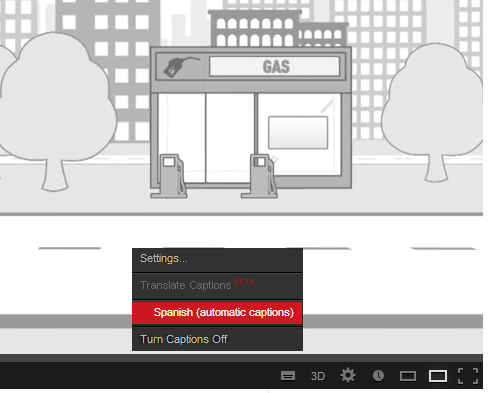 You can expect to have your video subtitles ready in about a week (usually less). When we've done our work and finished our quality tests, we send you an email to setup the subtitles. 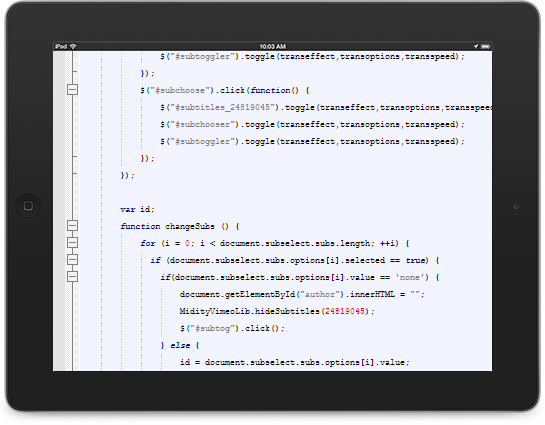 We coordinate with your team to set it all up for you, or (YouTube only) you insert all subtitles files yourself. This step takes about a day. In the case of YouTube videos, you can jump to step 4. In the case of Vimeo videos, read step 3. We coordinate with your staff - webmaster, design department, marketing - to make the proper decisions as fast as possible. We finish with an overall quality test, to ensure everything works as expected. When we're finished, you'll receive an approval email, so you can validate it all. Depending on the number of pages, this step can take from 1 day to several days. You already have all your videos subtitled. Now, it's time for you to benefit from them. Don't forget to let your current audience know they can now enjoy them. 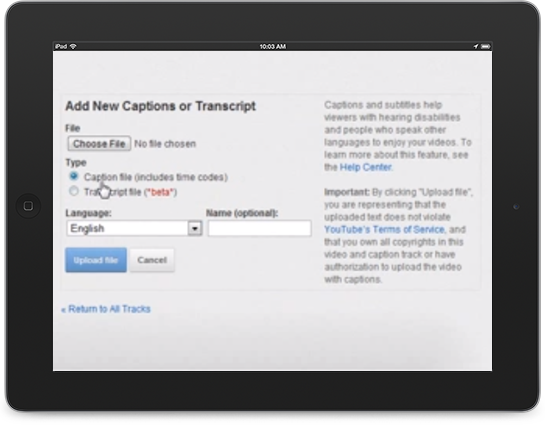 You can choose to subtitle your videos up to 40 languages. We can offer you translation services to a very large number of languages. 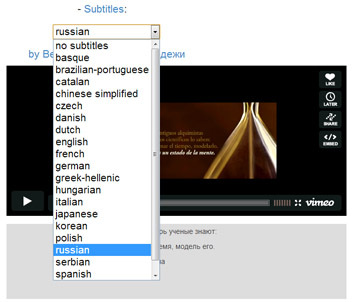 For instance, we subtitle to English, Spanish, German, French, Italian, Russian, Chinese, Arabic, Brazilian-Portuguese, Korean, Japanese, Catalan, Basque and so many more. We collaborate with a number of partners specialized in translation, localization and language education services. 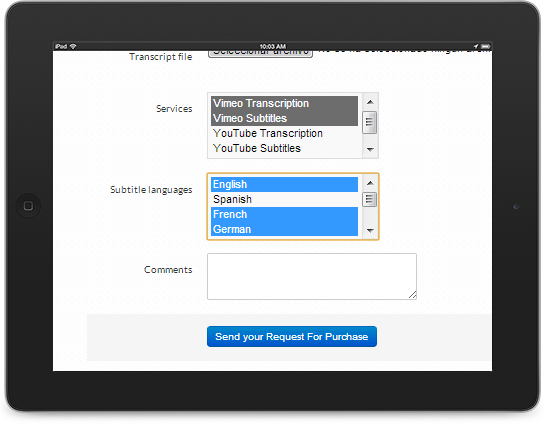 Depending on your video, audience and budget, we can provide several translation options for your convinience. SubtitlesPRO ©2013 SubtleTitles Inc. All rights reserved.